The Beach Africa is Africa - a very unique place at the Waterfront, overseeing the Indian Ocean and at the Entrance of the famous Mtwapa Creek. Its a perfect location for bagpackers, wanderers, travelers and adventure seekers. 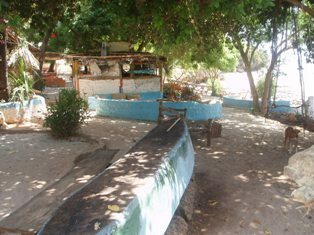 [ volunteer meeting point] This is the last hidden Paradise a heaven surrounded by a local fisherman's village and just 10 min walk away along the Beach to the Famous historical Jumba la Mtwana Slave Ruins. THE BEACH Africa is a unbelievable place where you just have to see it to believe it! The local Bongo or Reggae flava fills the air and the Oceans surrounds guests as they relax while enjoying Natures Gifts. 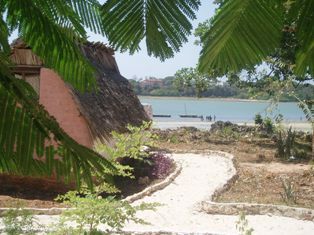 The beach Bandas are very cozy & comfortable Houses built African Village style and offer a Double bed incl. Mosquito net and Paraffin lamp. Karibu (Welcome) as we say here in Kenya for everyone at anytime who wants to relax while enjoying true Beach Life as a beach bum and to the same time enjoy African Village Life style . 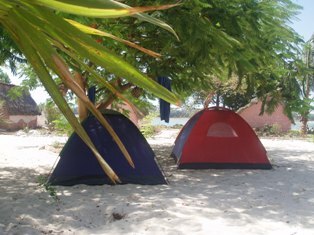 you can also pitch a tent for 400 ksh ( 4 Euro). 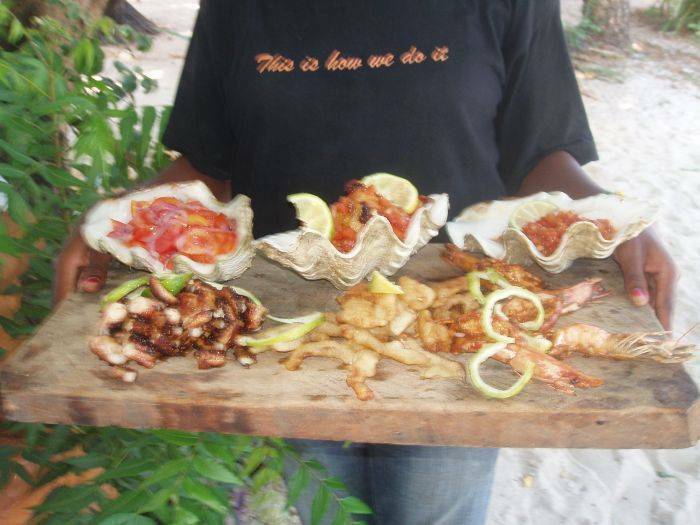 We are surrounded by excellent Snorkling Spots and we offer Fishing trips, Dolphin dives and Safari Bookings. English, German & Spanish Translators on site. 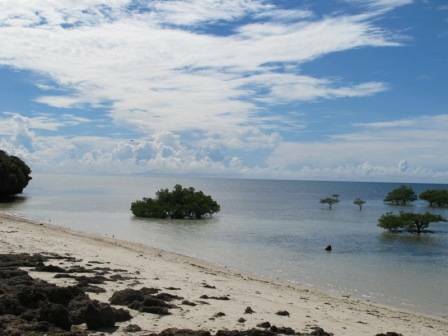 Only 20 min drive from Mombasa airport, The Beach Africa is in Mtwapa [north coast]. A very hip and young town with many shopping facilities Bars, Nightclubs and Restaurants. Along the Mombasa-Malindi Main road you take the road to your right at Kenol Petrol Station - straight down to Maweni Beach. Follow the Orange Signboards written BEACH BAR on it. Every Taxi operator will take you there in 5 min. - we also offer pick ups!! Price range of Food & Drinks between 30 Cents - 8 Euro . Surrounded by a local Fisherman Village. Called Maweni [ North Coast]. 15 min Walk along the beach from the Famous Jumba la Mtwana Ruins. At the Entrance of Mwtapa Creek. For Payment in Advance - by Moneytransfer Western Union or to our Bank Account pr Paypal. All details avaiable per e-mail .Express checkin. No refunds after check-in. at Mombasa-Malindi Main road in Mtwapa you find at Kenol Petrol Station a road going to your right straight down to the Maweni Beach. Follow the Signboards BEACH BAR. Nearest airport: Mombasa 20 min.